A little boy by the name of Sawyer is our inspiration. He is the first child we had the opportunity to send on an adventure. Sawyer was your “average American kid” – sweet, kind, loved his family and loved baseball. In December of 2010, Sawyer was diagnosed with a brain tumor. 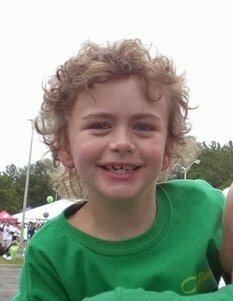 Doctors moved swiftly and removed the tumor in January of 2011, the same month Sawyer turned 7. He spent the following few months undergoing the difficult process of radiation treatment. Sawyer’s father shared with us the story of all his little boy had been through. He expressed how much he wanted to do something special for Sawyer at the conclusion of his months of radiation; to leave behind the heartache, fear and uncertainty associated with such a traumatic event; to spend time together; and to simply have some fun. It turned out that what Sawyer really wanted was to see a Major League baseball game alongside his dad. We contacted several of our close friends and business partners and together came up with a plan to send Sawyer and his dad on the adventure Sawyer had envisioned. Emails went flying; everyone contributed ideas, suggestions, contacts, resources, and encouragement. We decided a trip to Baltimore to watch the Orioles play at Camden Yards would be just perfect. The trip was packed with fun at every turn. Sawyer flew on a plane for the first time in his life. They had a beautiful hotel room overlooking the historic Baltimore Inner Harbor. He and his dad had baseline seats for both weekend match-ups, and even got to hang out on the field with the Orioles prior to Sunday’s game. The trip included spending money for souvenirs, food and any other adventures they found along the way. For the journey home, Sawyer expressed an interest in riding a train he could sleep on. So he and his dad hopped on the train from Baltimore back to Raleigh with little Sawyer indeed sleeping part of the way. All in all, it was a dream weekend and a very memorable experience for an incredibly deserving little boy and his loving father.